The successful traders do a couple of things than the rest of the traders due to which they do well and succeed. However, they do not do such magical things that you can’t do. You just need to have a successful mindset and follow the things they do and you are good to go. The first and foremost thing every successful trader does is that they carry out a trading strategy. They do not just limit themselves to technical analysis. They are familiar with their own particular trading, their capabilities, and tendencies. They also know how to take a comfortable risk and how to lower down their bad trades and increase good trades. The expert traders actually have a complete scenario analysis. In this way, they do further analysis of their assurance, anticipation, equity moving average and others. The expert traders are inclined to look at the potential trade by considering diverse trading strategies and scores of technical analysis. They do have control over the essentials behind the commodities and Forex in which they trade. They have a closer watch on the Forex market. Before entering the trade, the expert traders have a closer watch on different things to evaluate the practicability of the trade. They always look at the big picture and do not fear of missing a trade. The expert traders let the potential trades come to them. They do not believe in chasing trades. What could happen if I will enter the trade? How could this trade go wrong? How much am I going to lose on this trade? The successful traders look beyond the trades and they are more concerned with the Forex market as a whole. They consider that what could hinder them from hitting the limit? What can turn the market in their opposite direction? When they have to cut the losses? They do not enter a trade until they have to go through all these questions. Discipline is one of the essential things in trading. The expert traders are always more disciplined than the other traders. They do their deep research and homework properly before entering a trade. They have a proper working order. Not only that, they have working stops and enable those stops to be filled out in case they are due to be filled. 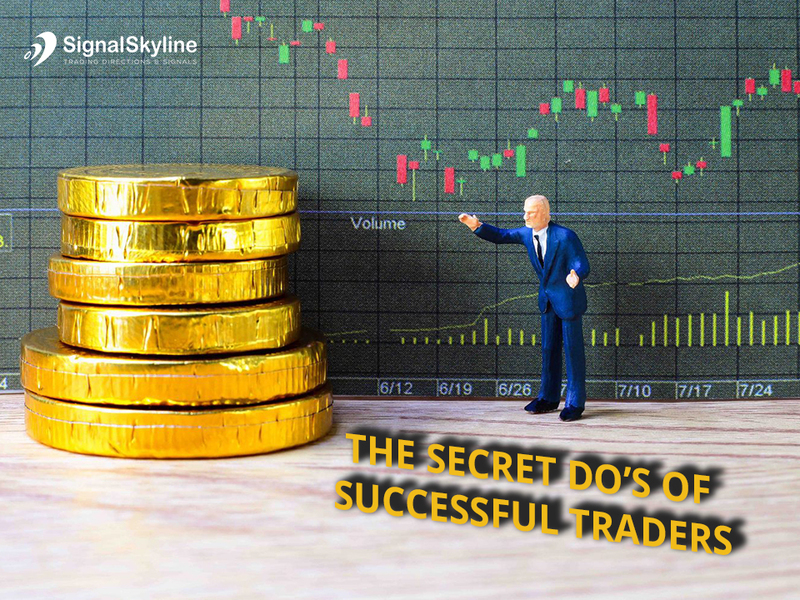 Those traders who are not more disciplined can pull their stop as they are only familiar with stock, commodity, and currency that is going to move their direction. The novice or less disciplined traders do not want to lose out a trade and afraid to lose another trade as well. Successful traders are quite patient and competitive. They are also confident while doing trading because they are fully prepared. These traders wait until the odds come into their favor before trading. They do take risks and lose cash but the cash they lose is calculated in advance. However, they only lose trade a few times as they do everything properly and accordingly. They know what they are putting at risk and are comfortable with it. They do not need the tighter spread to be more gainful. All the above four things are the practice of each successful trader in the world. If you want to be one of them then you need to follow these steps in a proper manner to succeed. Prev Best Currency Pairs To Trade In 2018 –Which One Will Be Lucky For You !! !